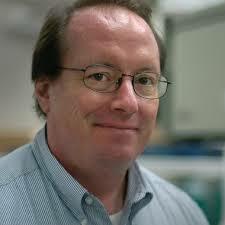 Mitchell Brown is UCI’s Research Librarian for Chemistry, Earth System Science and Russian Studies. He’s also the Scholarly Communications Coordinator in the library’s Scholarly Communication and Management Program. In his spare time, Mitchell draws with pen and ink and he paints plein air landscapes with oils. He recently had his first public show with the Southern California Plein Air Painters Association at the Muth Interpretive Center in Newport Beach. Insider: What is the most challenging aspect of librarianship for you? The world and how we interact with information has changed in the twenty years since I began working in libraries. Learning to change and find new areas to work is the big challenge for librarians. Once I teach people who to work with new systems or collection, then I need to find new topics to master or I face the prospect of being less professionally relevant. Insider: What do enjoy most about your work as a Librarian at UCI? I enjoy the opportunity to engage with students and faculty on research topics relevant to the global environment, health of people and the planet, and the growth of students into new scholars. I enjoy being able to combine science topics with questions about how to address issues relevant to people’s daily lives and to near and long-term global challenges. Insider: If you could change one thing about the way that UC libraries operate, what would it be? UC Libraries have the challenge of demonstrating to students and faculty that libraries matter. When access to information becomes easy and transparent, then the UC Libraries have succeeded but are not as visible as the agent for that change. I miss the one-on-one connection with students and faculty the library provided in the past. But I am very excited by the enormity of information UC Libraries make available in physical and electronic means. Our challenge is to make the ubiquitous research experience personal to the individual researcher. Insider: What do you see as the ideal nexus between LAUC and UC-AFT? LAUC is best at mobilizing librarians to act to define their functions and demonstrate our professional accomplishments. UC-AFT is better at defining what the results of the accomplishments will provide, as salary or advancement. UC-AFT allows members a platform to voice our individual and group concerns about work situations, planning for change, and a predicable career arc. This ability to voice our concerns carries into LAUC, since UC-AFT members learn that the power of the individual voice can be a mighty tool for change. Insider: Is UCI experiencing a reorganization of the library? How is it impacting librarians and other library staff? UC Irvine libraries have been reorganizing since 2009, in waves of discussion, engagement, then selected changes. Realigning Technical Services and Collection departments was a big change in 2009-10, as was the arrival of a new University Librarian, Lorelei Tanji, and new AUL for Collections and Public Services. Librarians see their jobs enlarge and change, and the need for adjusting to find a work-life balance continues. Insider: You're an artist and you recently had a show of your work. How would describe your work? I like to make stuff, and drawing and painting is one way to create. 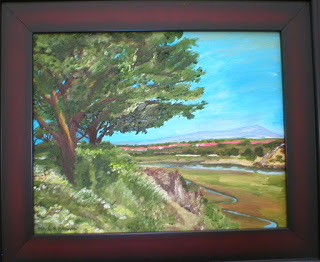 Currently I work with oils and Southern California plein air landscapes. I’m interested in exploring the environments of California and I try to capture the experience of sunlight, wind and trees. Selected works are posted to my blog – mitchellcbrown.blogspot.com. Insider: Is your art an outlet from your professional life as librarian, or is it somehow aligned with the things that attracted you to a career as a librarian? Painting and drawing is a way to capture a moment in time and try to understand something about how I see the world around me and how that understanding changes me. Like writing or other creative work, painting is about the process. I like the preparation and being involved in the work. The end product is interesting but not the reason for doing the work. Yet, I am surprised by what I make at times and see myself in the choices I make and the final work. Painting allows me to understand how to balance expectation with execution and to know when a painting is done. My creative work is part of who I am and I bring all that to my career. My hope is that it gives me another way to understand and connect with people at work and in my life, to mix the academic, intellectual, and creative sides. Insider: Why did you decide on a career as a librarian? I like the sensation of the pursuit in research, as a bench researcher, theorist, or as an author. I like to hunt and find targets, to see if I can locate odd or challenging or hidden items. Sometimes the clever librarian technique is the result of tenacious, dogged attention to detail. Then other times the serendipitous discovery is possible because you are prepared and paying attention. I like being around people who are curious about ideas and helping in that pursuit of curious minds, which is why I like being a librarian.